Welcoming the sunset back – Travel Much? This morning my facebook was overflowing with beautiful photographs of the first sunset in Longyearbyen. I wasn’t there so I don’t have any pictures of that exact sunset to share, but I do have some other photos that are very much so related to the sun, however some years old. It was the first sunset in four months. 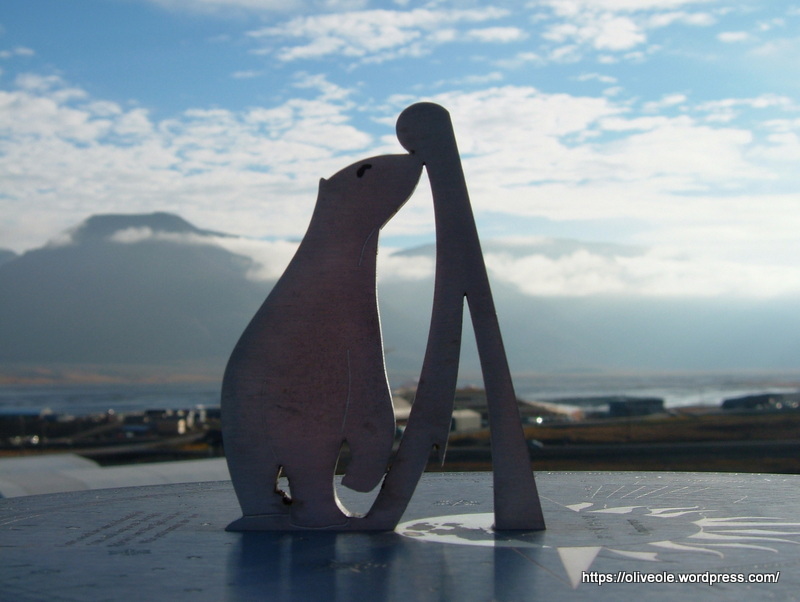 Summer is over in Longyearbyen, and with it – the Midnight Sun. The evenings and nights will now get darker and darker, the days will get shorter and shorter, until there is no sun rising at all. Graph from http://www.visitsvalbard.com. I was unable to find the English version, but it still should be understandable for non-Norwegian readers. I realize this sounds sad, but it’s really not. You see, in august the families with kids return from their vacations just before school starts up again. Kids running in the streets make all the difference, the town returns to normal and most people living in Longyearbyen cherish this return to normal. The fall is also a sociable part of the year; it is when the tourists leave they can sit back and get an overview of who is here this winter. They start their sports and clubs again, they visit with each other or meet at the pub. Although hiking season will come to an end with the shorter days and sporadic snowfalls, it is still possible to get in some really beautiful hikes in the autumn. It is a truly lovely time of year up there, although maybe not so attractive for tourists. Don’t know what I am talking about? 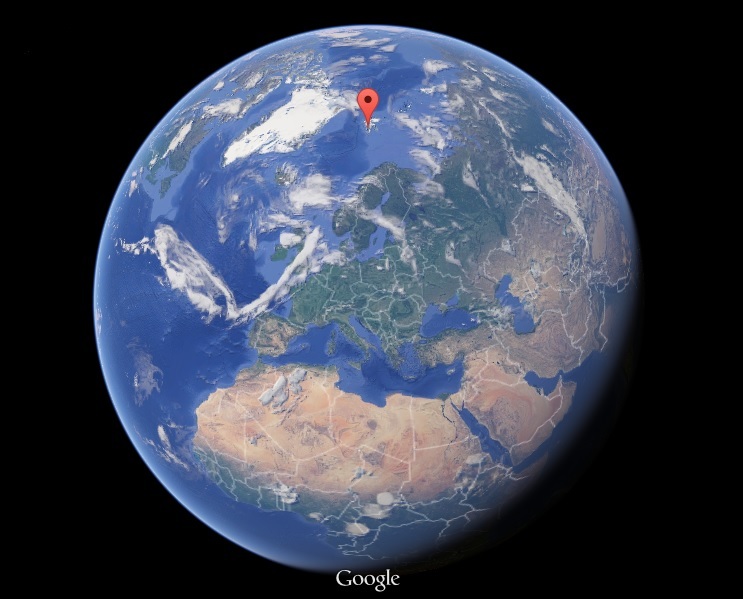 The red dot marks the spot 🙂 Picture from Google Maps. 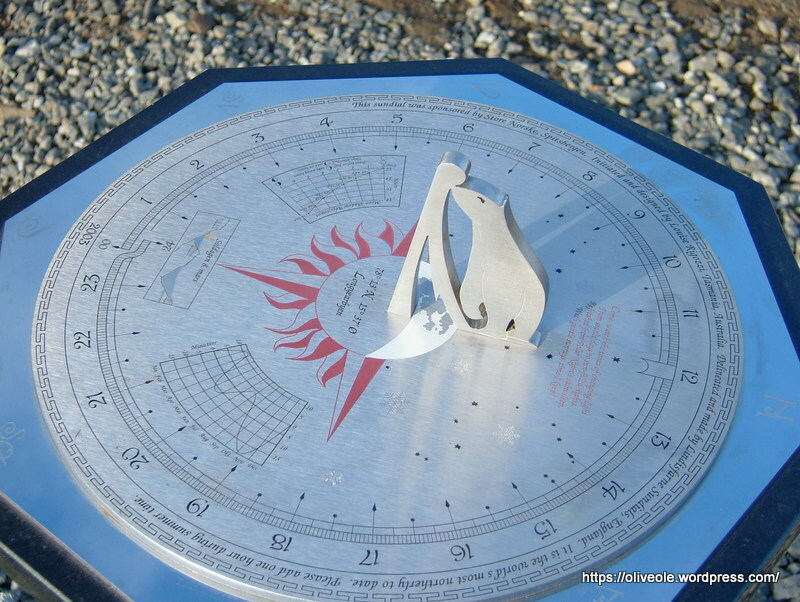 My good Aussi friend, Louise Rigozzi, thought up – and got the sundial made. You can read all about it here, on her own website, dedicated to the sundial. It is a fascinating read, and makes you realize that you can’t just make a sundial and plunk it down anywhere; there are a lot of things to consider, like the dial having to be 24 hour dial and not just 12 hours, also the length and angle of the gnomon. Louise explains this on her site in a way so everyone can understand. It’s a good read! I love the special gnomon! 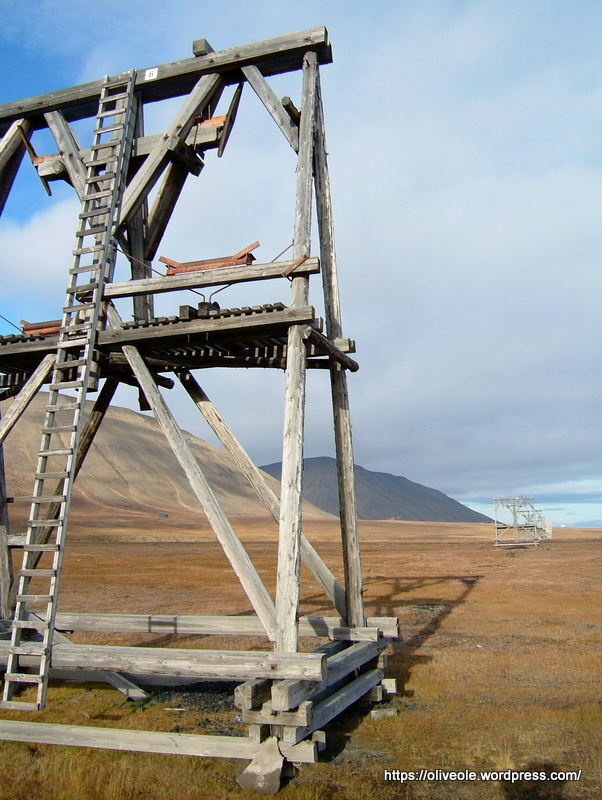 If you want to know more about Svalbard, please visit this page. I really do hope everyone get to visit this fairytale island at some point in their lives. I miss it so much! I just have to put this picture up here. 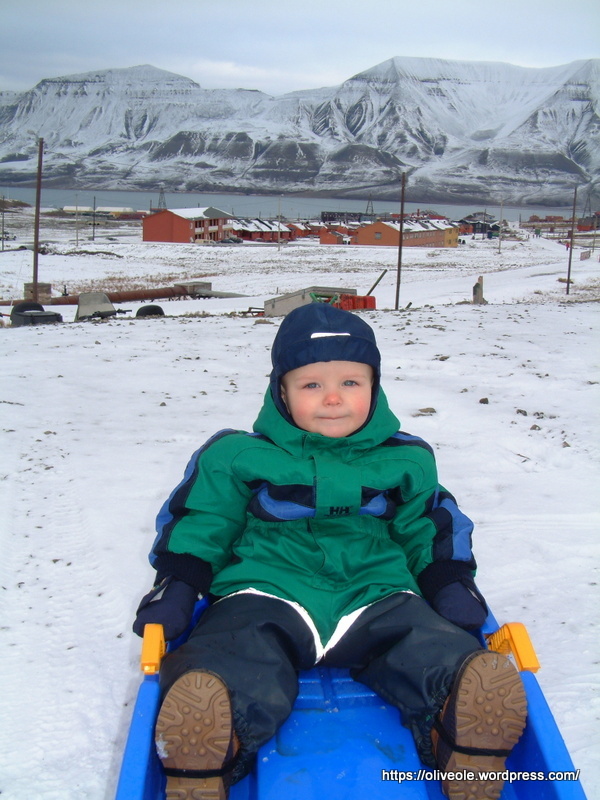 This is the Karate Kid right outside our house in Longyearbyen, only one year old. This photo was taken 08 September 2002. Karate kid is so cute in this picture. Other pictures are also beautiful and an interesting article. I have heard about midnight Sun in Norway, is that true? Yes they have midnight sun in northern Norway every summer. Quite lovely. They also have very little light in the winter. 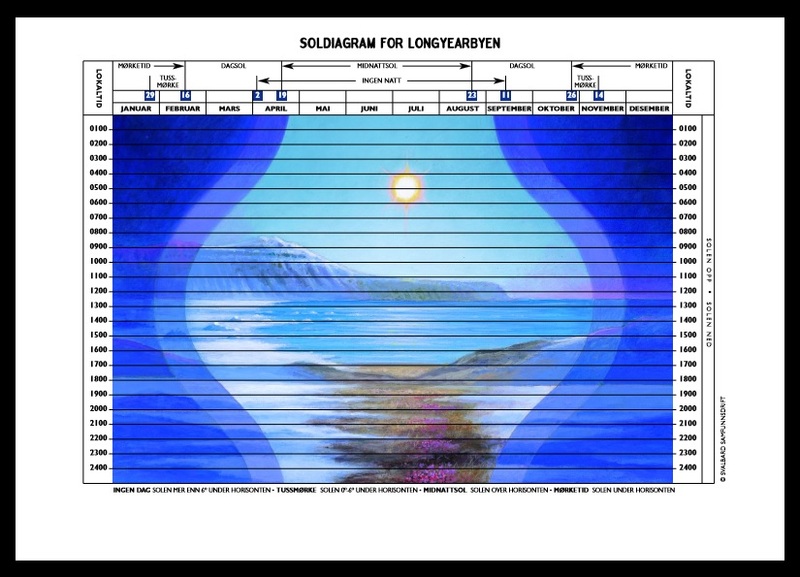 Longyearbyen is also a great place for the northern lights, aurora borealis, during winter. Its magic!